We will provide a complete package in writing. Witch includes a two night hunt, guide vessel, all equipment (you can use your own if you choose), light snacks and soft drinks. 250.00 deposit to confirm booking witch we will return if you are not drawn. 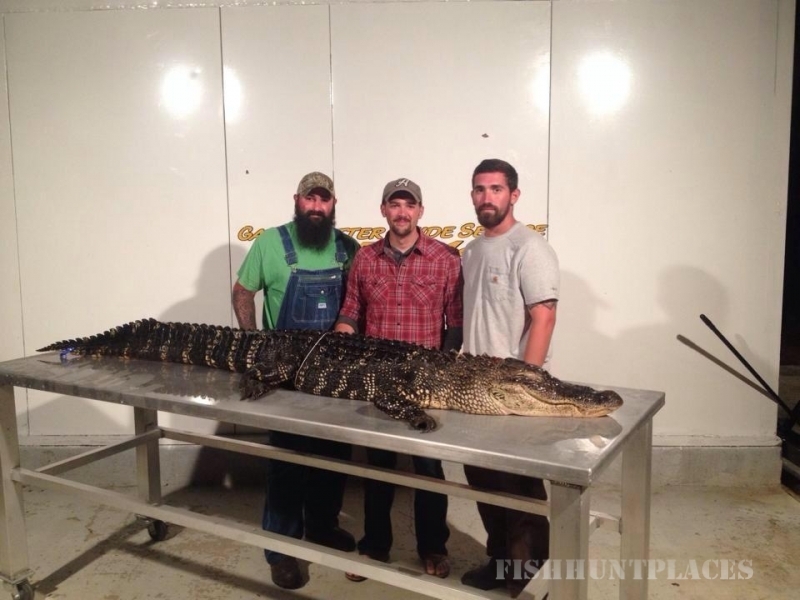 We will also process your trophy for an additional fee, or help you line up a processor in our area. 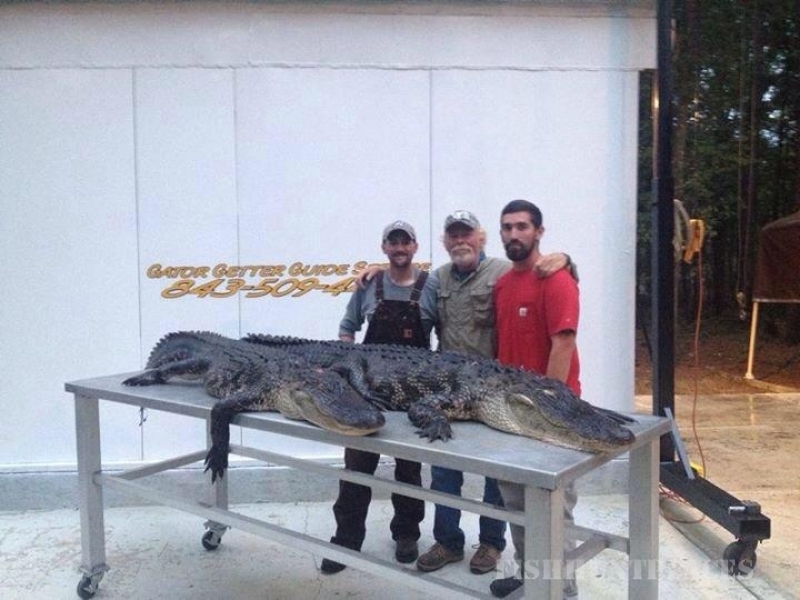 Also we can help you line up an experienced alligator taxidermist for your trophy mount. 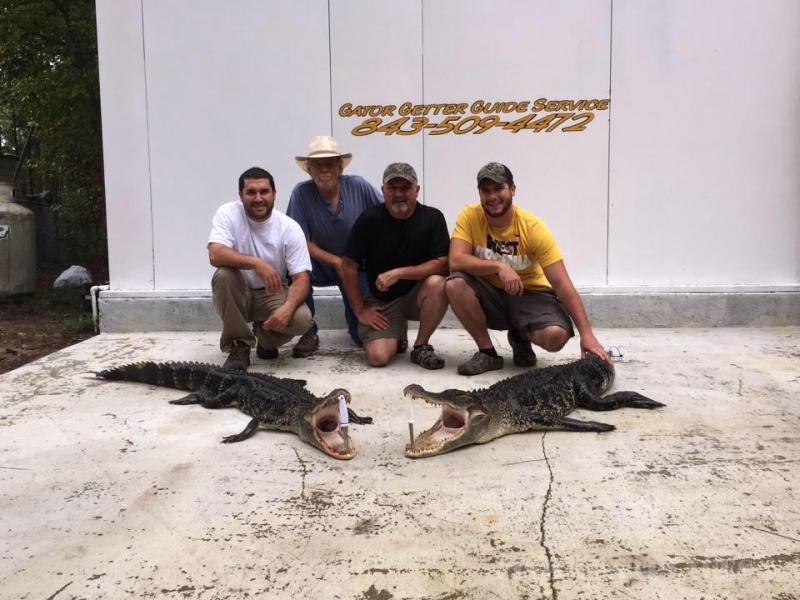 For those who would prefer to harvest your own gators, with your own equipment and vessel, but are lacking a hands on experience, and in need of guidance, the solution is our Harvest Training Run. We will take you out on your harvest area, before the season starts. We will advise you on how to use your equipment, what to expect on your hunt, tips on habits & strategy, along with help in lining up processors. This trip is… very informative and will save you more than the price in mistakes, equipment loss, damage, accidents, and headaches! Trip is about 4 hours for two people. 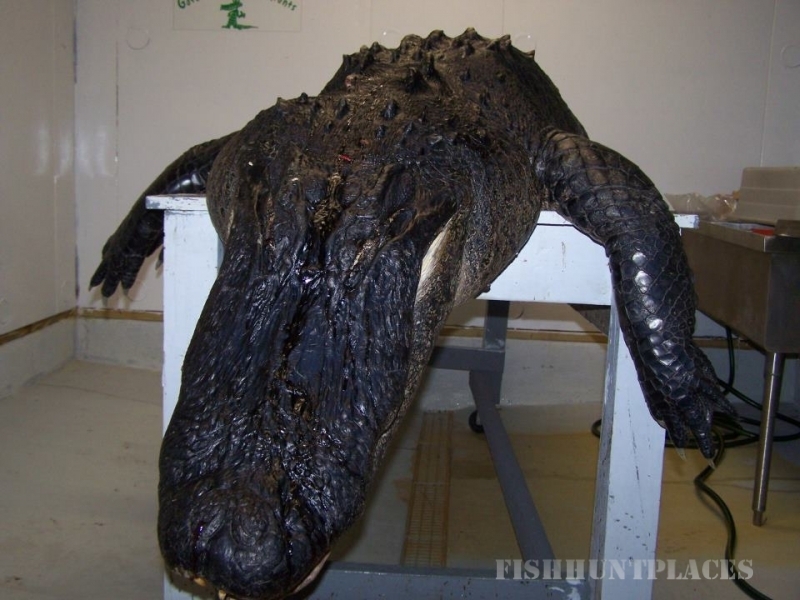 Some advice, hiring a guide is expensive, but when you add up equipment boat costs, time scouting and damage to boat and equipment, the costs is reasonable. 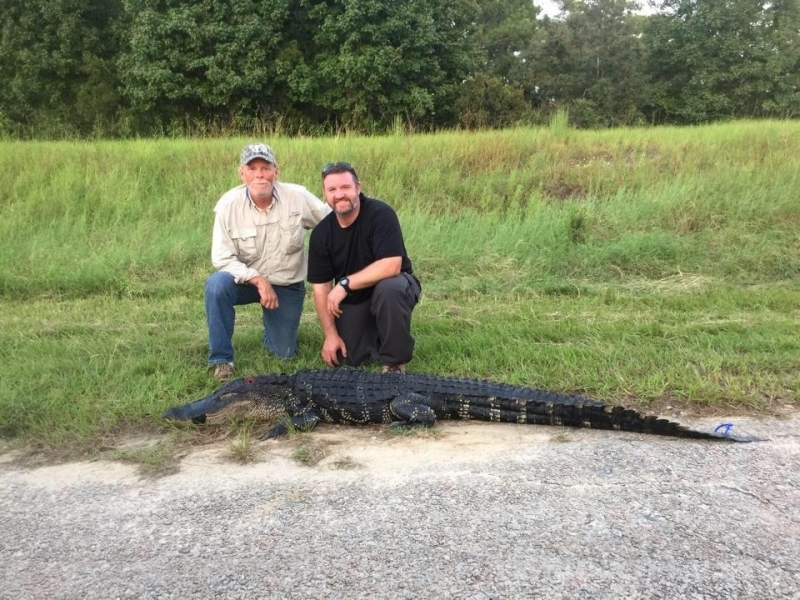 Our guides have over 20 years experience handling gators we do this for a living handling nuisance gators year around, we also provide training for law enforcement and animal control. 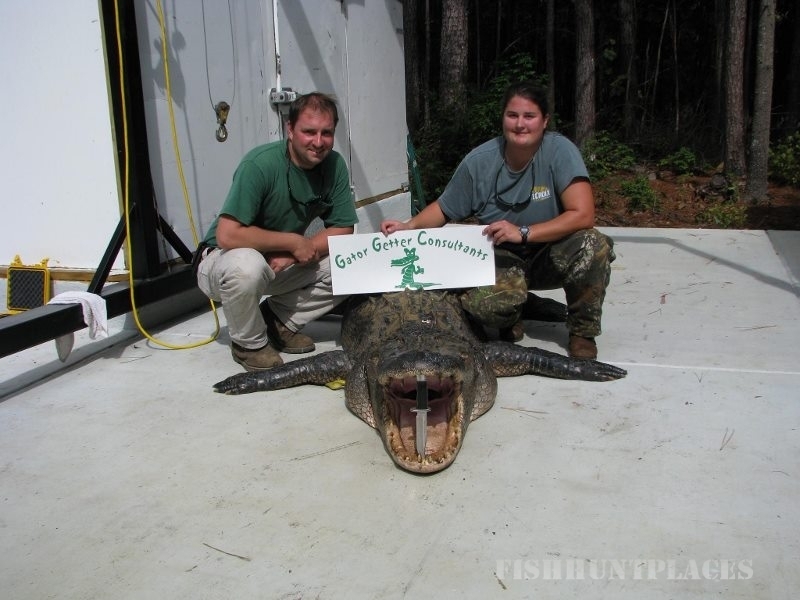 So please call us we like to talk about alligators. 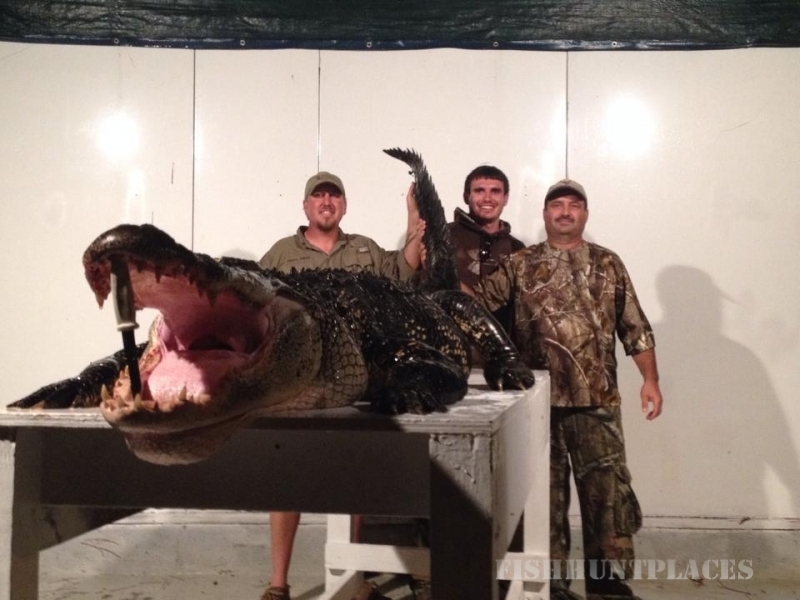 To hunt, you will need $200 to $400 dollars of equipment (harpoons, rods, lights, bang stick, lines), a boat, and a truck. Miscellaneous items may run you another $50 to $100 dollars (bug spray, tape, maps, charts, gaff). Depending on your boat and truck, you may burn $15 to $75 dollars per night in fuel. 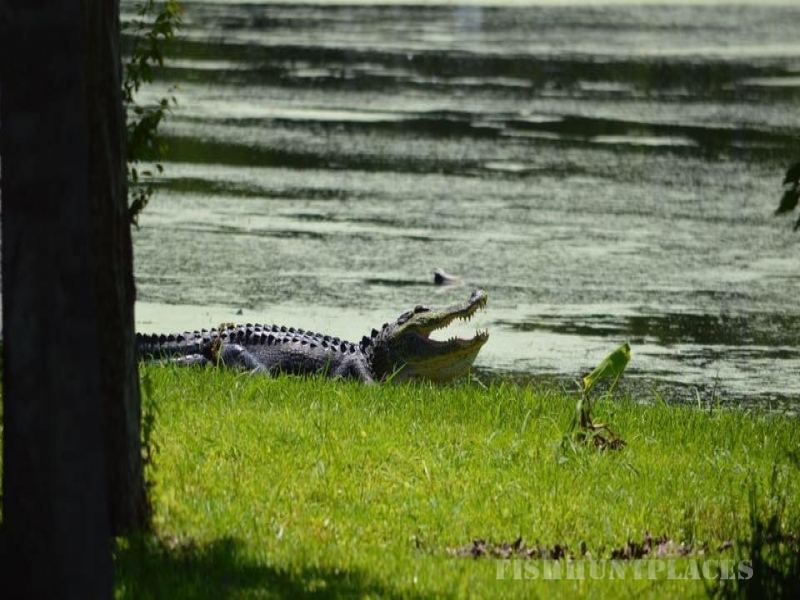 Add to these expenses any damage you may do to your truck from lack of sleep or vessel from muck, stumps, logs, rocks, vegetation or gator bites (they bite VERY hard). Foot/prop damage $100 to $1,500, hull damage $150 to $1,000’s! The point to be taken is this could become a very expensive undertaking with little reward! Weigh it out carefully if you go on your own.